Nexus Group, owners of the Rentman vehicle rental software solution, has named Peter Tatlock to serve as Chief Executive Officer. Peter Blease steps up to the role of Chairman. Peter brings a wealth of experience to the role, with significant international knowledge of the financial services and automotive sectors. 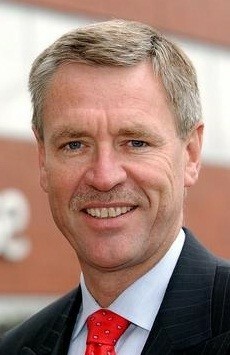 During his 31 year career with GMAC, he held a number of senior executive roles which took him to Australia, Norway, Sweden, Switzerland and UK, with his last appointment being Managing Director Masterlease UK Ltd.
Peter Blease steps up to the role of Chairman of the Nexus Group, with special responsibility for overseas business, where his dedication and diligence have already generated real and sustained growth in the emerging markets. The board believes that this area will form a key part in Nexus’s future growth and welcome the focus that Peter will bring to this new role.